Which Of Fantasy Life's Roles Did You Play First? Level-5's lovely little life-simulator/role-playing game, Fantasy Life, begins with players choosing one of 12 different lives to serve as their entry point into this colorful little world. Which was your first? Do you begin with a traditional RPG job, as Jason Schreier did with his Wizard, or do you start off with something more mundane? Patricia Hernandez and I both went for Cook first, either curious about playing a basic worker in a grand fantasy setting or possibly hungry. Eventually the game allows players to swap between lives freely, but you never forget your first. 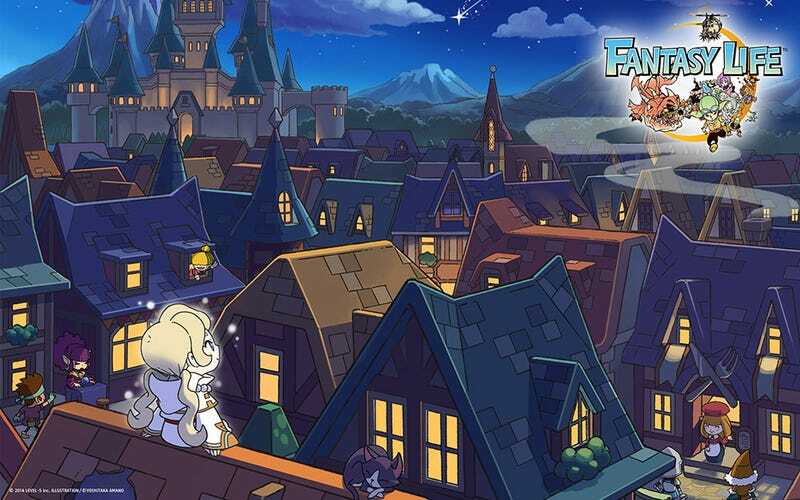 If you've played Fantasy Life, which was your first pick? If you haven't played yet, which of the 12 lives sounds the most appealing? Hit up the poll below, and feel free to share your choice in the comments below.